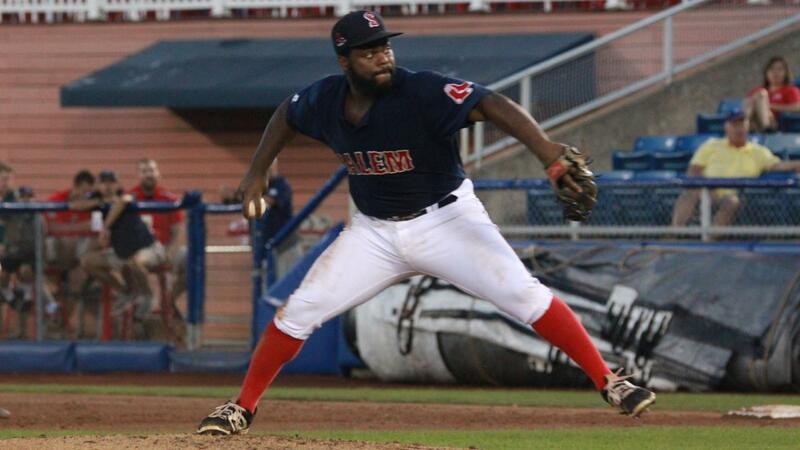 Josh Tobias hit a homer and then struck out the only batter he faced in his first time pitching as a pro. SALEM, VA (Sunday, September 2) - The Salem Red Sox took a narrow lead after a long weather delay Sunday, but fell into a tie and fell victim to control woes late in a 3-1 loss to the Lynchburg Hillcats at Haley Toyota Field. Lynchburg pulled ahead in the top of the ninth against Red Sox reliever Austin Glorius (L, 1-2), who retired the first two batters he faced before his control deserted him. Glorius walked the next five batters in order, plating Alexis Pantoja and Josh Rolette to put the Hillcats ahead 3-1; Josh Tobias then fanned Miller looking to end the inning. In the bottom of the ninth, Jagger Rusconi hit a two-out double off Hillcats reliever Luis Jimenez (W, 3-3), but Tyler Hill fanned to end the ballgame.